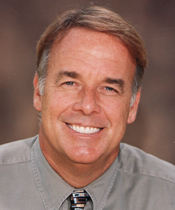 Professional Teeth Whitening in Santa Barbara with Dr. Mark T. Weiser Smile Expert. — Dentist in Santa Barbara, CA | Dr. Mark T. Weiser D.D.S. With Dr. Mark Weiser, whitening teeth is easy. There’s no easier way to get a younger, fresher looking smile than by taking years of stain off of your teeth. You will look and feel fabulous..
Dr. Mark Weiser will achieve a lighter natural shade adding vibrance and youth to your appearance. The procedure is painless and harmless when administered by a professional of Dr. Weiser's caliber. You will love your bright new smile after one simple treatment. “I love to see the excitement in my patients' eyes when they look at their newly whitened smile. It feels great to help people gain confidence in their appearance." If you are interested in getting whiter teeth, there are a lot of options. No drug store tooth whitening paste or gel will give you the results you can get from your dentist’s office. Santa Barbara dentist Dr. Mark T. Weiser offers a variety of options for getting whiter teeth and one of the most common options is Zoom! Zoom! involves a light activated gel and a special light that work together to eliminate stains and discoloration without harming the structure of your teeth. This is an extremely popular option and available at our office. Zoom! Involves a multi-step process that includes covering your lips and gums so that only your teeth are exposed to the Zoom! gel. This gel’s active ingredient is hydrogen peroxide, (H202), a safe and natural substance. The Zoom! gel is paired with the Zoom! light and together they can make your teeth several shades whiter. After an average of 3 sessions in our comfortable spa-like Santa Barbara dental office, your Zoom! teeth whitening treatment is done. Zoom! Whitening is a one-hour process that instantly whitens your teeth up to 8 shades! We also provide take home trays for patients who complete Zoom so that they may do at-home touch-ups as needed in the future. We recommend a complete cleaning before any whitening treatment for best results. After making an impression of your teeth, custom trays are made to fit your teeth exactly. Prescription-strength whitening gel combined with perfectly fitted mouth trays create a brighter, whiter smile after just a few treatments! You have the option of a Daytime (Day White) or Nighttime (Night White) option. Day White is a two-component tooth whitening system. The patented dual chamber syringe mixes Cool Mint flavored gel with an activator formula precisely at the time of application. The resulting blend is a revolutionary whitener that produces beautiful white teeth in just days. Day White is a mild solution containing a unique blend of natural soothers, conditioners and flavor enhancers Dr. Weiser will dispense the gel, but it is applied by the patient at home using a comfortable and inconspicuous tray. Unlike conventional overnight take-home tooth whitening systems that may require up to eight hours of wear time, Day White achieves the same results in only 30 minutes twice a day. Nite White is a fast, safe and effective tooth whitening system. The whitening gel is a thick solution, which is dispensed to patients by a dentist and applied at home using a clear and inconspicuous custom filled tray. The delicious Peppermint Cream flavored gel is worn overnight, while you sleep for ultimate performance and maximum convenience. In only 10-14 nights, you can achieve exceptional whitening results. “During your diagnostic visit, I will take impressions of your teeth for custom gel-holding appliance called a whitening tray. On your second visit, you will be fitted with your whitening tray, provided the take-home whitening kit with specific instructions on how to administer the gel andwear your tray. In almost no time, your smile will become even more fabulous"
This is a revolutionary new technique to get your teeth their absolute whitest they can ever be! Candidates for this treatment are those with deep discolorations, previous failed bleach results, tetracycline stains, and those who want the best and guaranteed whitest shade they can ever get thru bleaching! We take impressions of the teeth to make custom fitting bleach trays. At this same visit we initiate the first power bleaching of the teeth using a laser like light, which kind of “jump starts” the whitening process. You wear the custom bleach trays ½ to 2 hours a day for 2 weeks. A 2nd office visit for final power bleaching of the teeth and subsequent “sealing” to ensure they stay white. Simple, yet extremely effective for maximum whitening! “Shades of a teeth are a matter of personal taste. While whiter teeth may appeal to be everyone, a natural white smile has greater appeal to the natural look smile. But there are other considerations to take into account before making your final selection. First, how will the shade look on your teeth? A model may want to go with the whitest and brightest smile; whereas, a traditional woman, would want to go with the natural coloring to avoid overbearing whiteness. Let me help you pick and achieve the perfect level of whitenss for YOU"
Ozone Whitening”, a revolutionary new technique that whitens for those people with very sensitive teeth who have failed with other bleach systems. Ozone treatments are increasingly being used on the teeth and gums to aid in remineralizing teeth, desensitizing them, plus killing bacteria. In terms of whitening, ozone therapy can be very complementary as it boosts the oxidizing potential of the bleaching gel and at the same time eliminating most sensitivity that can accompany typical whitening procedures; a true win-win therapy! Ozone therapy can help with a variety of teeth whitening challenges, including tetracycline stains, which can be very hard to get rid of. Because ozone therapy can be excellent for killing oral infections, it’s increasingly being added to other dental procedures as a complementing therapy. Dr. Weiser can meet with you to discuss your questions and concerns about stains or other cosmetic issues and make a recommendation to help you get a beautiful smile that you can be proud to show off. “Teeth whitening is very popular but not all options are created equally. Talk to me about options for teeth whitening. I can safely whitening your teeth and get dramatic results"
If you are interested in deep bleaching or other cosmetic dentistry procedures in Santa Barbara, CA, make an appointment with us. We can help with a variety of areas that will really give you something to smile about. Call (805) 899-3600 for a consultation at our gentle dentistry practice.